How is it the end of September already?! Not that I'm complaining because if you know me well enough you'll know how much I love autumn and winter! I can't wait for coats, cosy nights in, big jumpers and for Costa to bring out their christmas hot chocolate flavours! (Praying for black forest hot chocolate again this year). But anyway, since we are coming towards the end of the month it's time for my September favourites so these are the products which I have been loving this month! 1. Benefit Hoola Bronzer is my first favourite of the month. I do love my NARS bronzer but having recently done work on contouring and highlighting on my makeup course I've fell back in love with this matte bronzer. 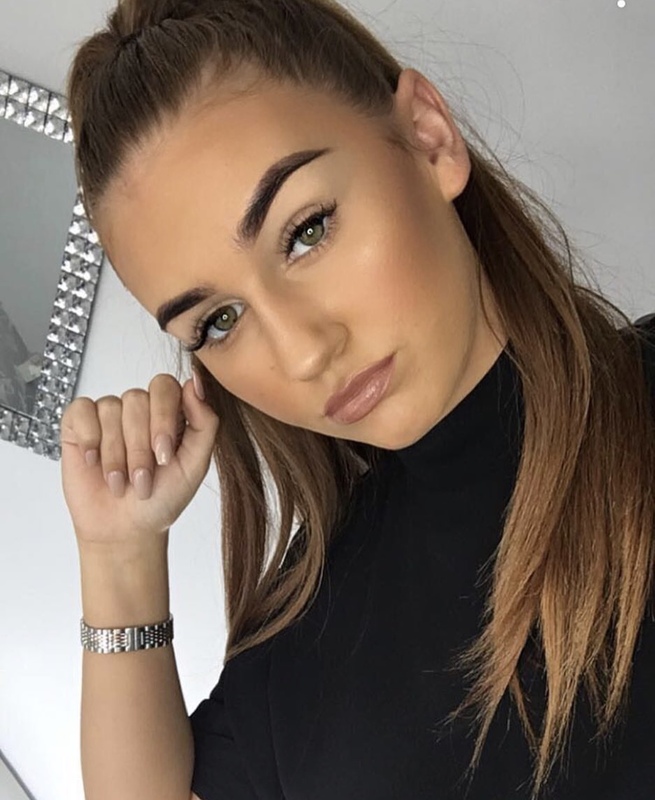 I love using bronzers during these colder months to warm up the skin and I also like to use a stronger contour as well at this time of year. This bronzer works well for so many skin tones and can be used as a contour shade because it is matte and not too warm toned! 2. MAC Embark eyeshadow is my second favourite of the month, this eyeshadow came in my makeup kit and I also have a smaller sized one in my MAC burgundy times nine palette. I've been using this eyeshadow most days for the past 2 weeks, I blend my bronzer into my crease and then pack the Embark eyeshadow on my lid and then blend it into the crease colour. This is slowly becoming my go-to eyeshadow look and if you read my last blog post I predicted I would become hooked on this eyeshadow (makeup psychic). 3. MAC Rebel Lipstick. Everyone knew this was coming! This time of year is perfect for pulling out the plum lipstick and I wore this lipstick for the first time in months this week and oh wow I forgot how much I loved it! The colour stays all day although I do have to reapply after eating but the colour is absolutely amazing and I can't wait to wear this more throughout the next few months! If you've never worn a dark lipstick before but want to try one this season then I would definitely recommend this one. Now that I'm used to wearing Rebel I definitely want to go darker with my lipstick so let me know if you have any favourites! 4. 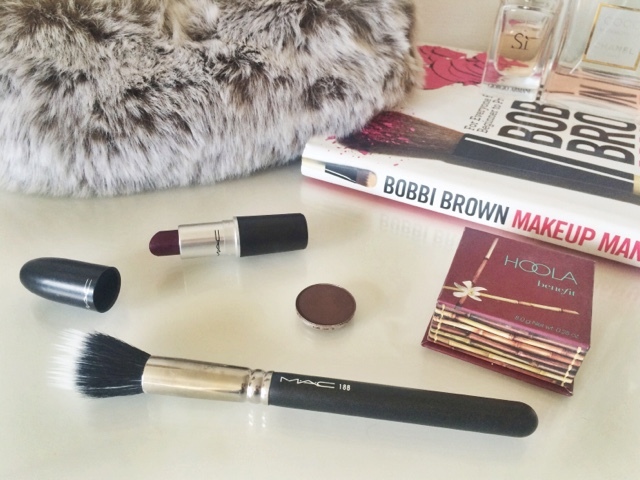 My last but not least favourite of the month is MAC 188 Duo Fibre Brush. What a fabulous brush! It is perfect for applying highlighter to the tops of the cheekbones, because it's a duo fibre brush it doesnt pick up too much product so you can control the level of highlight which you want and the size of the brush fits perfectly on the tops of the cheekbones to control where you want to apply your highlighter. That wraps up my favourites for this month and I've definitely got some new products lined up to try during October so keep your eyes peeled for reviews and who knows maybe some will creep up in next months favourites! Let me know what you have been loving this month in the comments! See you soon! Lovely favorites hun! MAC Rebel just screams Fall to me, it's defs one I need to pick up!